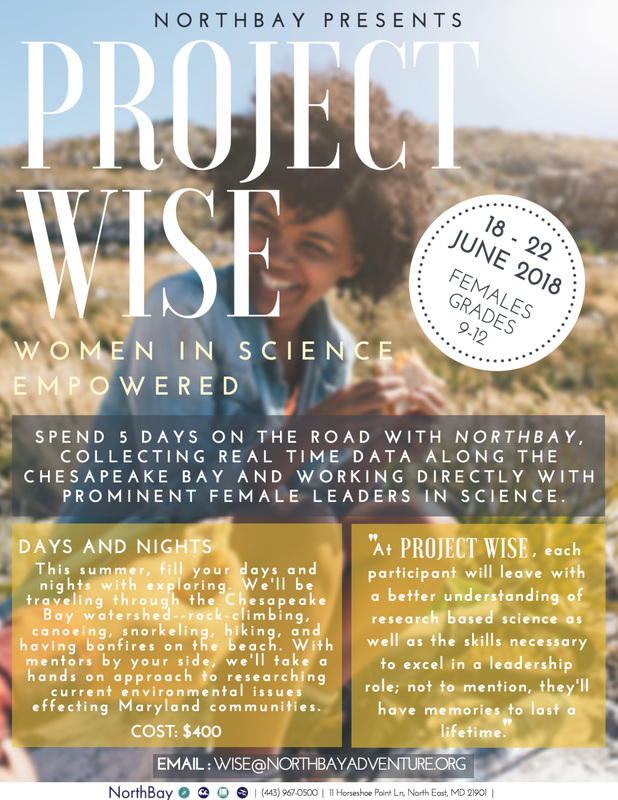 Spend 5 days on the road with NorthBay, working directly with prominent female leaders in science collecting real time data along the Chesapeake Bay. This is a leadership intensive program designed for high school aged girls interested in pursuing a career in science. They will spend their days traveling through the Bay watershed, participating in a variety of research projects including but not limited to: oyster restoration, baygrass populations, and ongoing water quality assessments. Their evenings will be spent around the campfire discussing what intentional leadership is, sharing stories of their own experiences that sparked an interest in science, and setting goals in order to achieve their aspirations. In addition to field science experience, students will have the opportunity to go rock climbing and paddling along the tributaries of the Bay, snorkel at the Susquehanna Flats, and hike through the beautiful deciduous forests of the Bay watershed. Participants will be sleeping out under the stars at NorthBay, Rocks State Park and UMCES Horn Point Laboratory. They should expect to be sleeping in tents and have limited access to electricity. At the conclusion of the trip, each participant will leave with a better understanding of research based science as well as the skills necessary to excel in a leadership role. The community that will be developed throughout the program will offer a support system to continue achieving their goals, no matter the set-back! Age: 9-12th grade, females only!